Your Guide To Matchbox Lambrettas! 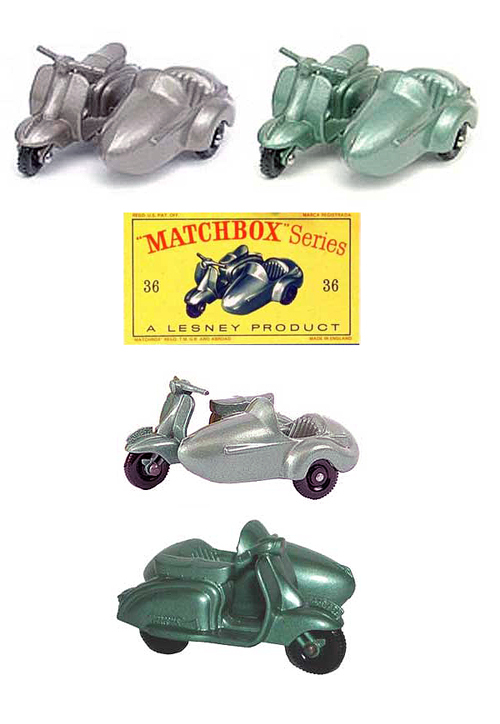 Julie G. found this neat-o site for what Matchbox made in scooter form. If there are some other sites out there we should know about, please let your friends at ScooterSwag know! Nice site, some casting/box variants I didn’t know of. A couple of manufacturers contemporary and vintage also “borrowed” this model and made copies in plastic or metal.